Video games for good: Can cooperative games reduce racism? How do Personal Values Affect Attitudes about the Environment? Can meditation improve performance and reduce sleep debt ? Pledge week is this week! The nice folks at Experiment.com have extended our campaign to the full 60 days allowed! That gives us some additional time to reach our funding goal. We will also set up an AMA on reddit. Thanks, everyone! As mentioned in a lab note, we'd like to thank everyone who came by to read about our project, and especially all those who pledged to help support it financially. We want you to know how much we appreciated each and every pledge, and that we will push this project forward, whether or not the target for this particular crowdfunding campaign is reached. 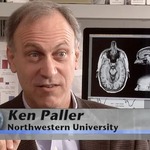 Therefore, if this doesn't go through and you would still like to help, we invite you to visit our cognitive neuroscience lab website, http://pallerlab.psych.northwestern.edu. There you will see a link marked DONATE. If you click there, you will see instructions on how you can make a tax-deductible donation in an amount of your choosing directly to Northwestern University targeted to our lab and to this INCEPTION experiment. We would appreciate any gifts you can offer toward this cause, and any funds we receive through this route will be used to help move this project forward. In the end, we will do our best to find out whether inception is possible with our methods, and in the process Iliana will complete her PhD dissertation on this project. We greatly appreciate your support, including the gesture of pledging support for the present campaign. We are extremely grateful to all our backers! We hope to bring this campaign to fruition in the next 2 weeks, and then bring the project to fruition quickly after that. We would be pleased to share our results with backers - we'll gladly send you a copy of papers, posters, and abstracts that result from this project. Just send Iliana your email address (<iliana.m.vargas@gmail.com>) and we'll assemble a list. If you'd like to know more about the project, just ask! Thanks, Vance Gao, for making our first day on experiment.com a great one, and being the first to make a pledge!